Cairo Festival City Mall (CFCM) is one of the top shopping and entertainment destinations in Cairo. One of the main reasons that make this place a main destination is its unique philosophy in sharing every trendy occasion and celebration with their shoppers. The mall is currently hosting a specialized event for one of the highest grossing games, Fortnite, in the history of the gaming industry with revenues that have reached about USD 2.4 billion annually. Fortnite has widely spread among youth across the world. Therefore, CFCM’s gaming platform has decided to be a part of this trend and celebrate it with the Egyptian and international gamers. As international revenues are increasing rapidly due to the trending of these creative games, government initiatives are also choosing this direction for the youth. Therefore, it is clear that this gaming industry is here to stay, and as important as it is to those entities, it is important enough to CFCM to host it. Lately, Egypt has become the main hub for the gaming and programming industries. The country has been hosting several conferences and forums for Egyptian programmers, as well as game-makers to help them showcase their work and exchange their knowledge with their peers from around the world. For this event to be more original and at the same time meet the international standards, CFCM partnered with Epic Games, publisher of Fortnite and Sony PlayStation. CFCM invited more than 4,000 gamers and about 17,000 attendees to watch and participate in the 17-day event. 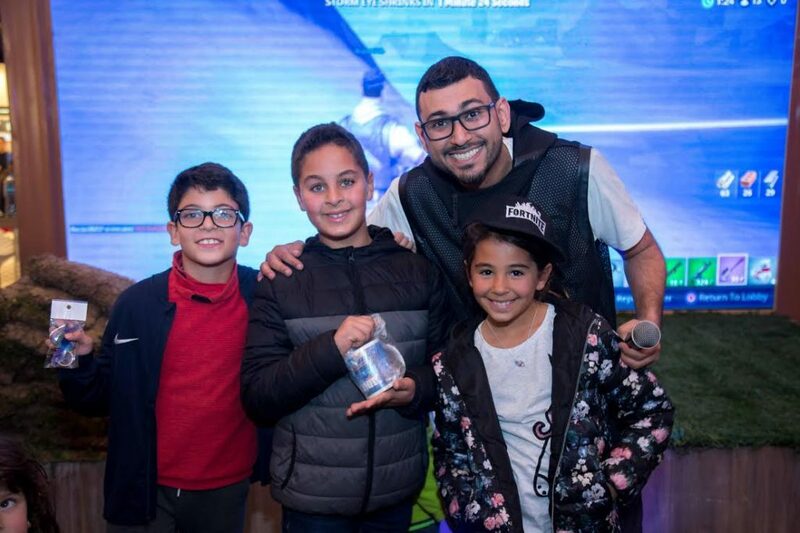 It started on Thursday the 17th of January, featuring celebrity gamers like Baraa from Bahrain who hosted the event on the 17th and the 18th. Egyptian gamer Nour El-Din X also made a special appearance at the event. CFCM has announced that there will be a surprise on the last day of the event, where more international gamers will show up. Throughout the tournament, about 64 players will be announced as winners, while three final winning teams will be selected to win two PS4s each, along with a tournament cup at the end. Apart from the variety of game-themed gifts to be given to the winning teams, participants, as well as visitors, can take memorable pictures with their favorite costumed characters. WE SAID THIS: The gaming industry is relevant after all!